America’s most distinguished author of children’s books also gave the world an impressive collection of speeches, essays, interviews, and conversations. This beautiful collection will illuminate the thinking behind her work as well as speak to a new generation of readers, introducing them to Ms. Hamilton’s provocative vision and her stunning body of literature. Virginia Hamilton changed children’s literature for generations of readers, bringing a Faulknerian style of sophisticated and cutting-edge writing to the world of books for young readers. Hamilton was awarded the Newbery Medal, three Newbery Honors, the National Book Award, the Boston Globe-Horn Book Award, the Hans Christian Andersen Medal, and many more. 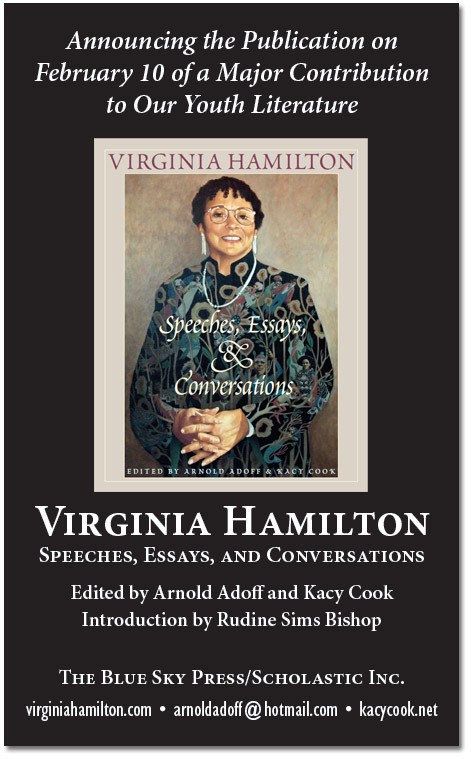 Readers will be enlightened by Hamilton’s engaging, powerful, and witty perspective on African American literature as well as her own experiences as a writer and an American.